SACRAMENTO, Calif. — This state capital, which lacks the size and wealth of San Francisco or Los Angeles, has been wanting to be a hub for electric vehicles for as long as anyone cares to remember. Since 1990, Sacramento has lured tens of millions of public and private dollars to subsidize the expansion of the city's EV fleet and to build a charging network. It has partnered with just about every automaker and offered every kind of incentive — and yet this hot, flat and diverse city doesn't make the top-30 list of California cities with the most EVs per capita. Then, one day last July, its moment arrived. That was when Volkswagen, the German automaker, announced that Sacramento had won a competitive $44 million "Green City" award to grow EV adoption. It may be the largest amount of EV stimulus money ever bestowed on a single U.S. city, and a small city at that, with less than half a million residents. "It's another signal among many that the world of alternative energy, innovation and technology are looking at Sacramento as the place to be and the place to locate," Sacramento Mayor Darrell Steinberg told The Sacramento Bee. In this case, the money was being spent by VW, not out of corporate generosity, but because a court had ordered it to in October 2016 as part of a $15 billion penalty to settle an emissions cheating scandal. Sacramento is home to the California Air Resources Board (CARB), which has veto power over how VW spends settlement cash in the state. In 2014, CARB investigators were among the first to discover that VW had installed "defeat devices" on its diesel-powered cars, intended to conceal a high level of tailpipe pollutants. The scandal has cost VW more than $30 billion worldwide, and CARB negotiated for California's chunk through a U.S. consent decree alongside federal officials. The $44 million going to CARB's hometown isn't supposed to benefit the agency or its 1,300 employees, many of whom drive EVs. But it is the latest example of how powerful figures in Sacramento are using money and regulation to build a market for EVs and bend global automakers to their will. The Green City program is just one part of much larger plan. VW will spend $75 million to build a network of high-speed highway chargers and $45 million to add charging options in the major California cities of Fresno, Los Angeles, Sacramento, San Diego, San Francisco and San Jose. In Sacramento, Volkswagen chose "a city small enough where it can make a noticeable impact," said Analisa Bevan. Bevan, who drives a Nissan Leaf, is an assistant division chief at CARB. She oversees how VW spends $800 million of the reparations to California intended to be something more than a penalty. Called "Electrify America," it is the automaker's newest corporate arm, designed to spend money under VW's U.S. settlement to benefit EV drivers while also expanding the EV market and accruing to VW's bottom line. An even larger portion, $1.2 billion, applies outside California and is overseen by EPA. The total of $2 billion is being spent in four cycles over a decade, and afterward VW will own all the charging infrastructure. The Green City plan in Sacramento falls under the Electrify America umbrella. VW says it settled on Sacramento with a rigorous process, choosing among seven large California cities with a sophisticated scoring system. CARB says the choice is unrelated to its location in the capital, pointing out that only one of its board members lives there. "A far as we can tell, nothing in the approval of the VW investments benefits a Board member in any material way," CARB spokesman David Clegern said in an email. "The VW Consent Decree puts specific parameters on what a 'Green City' must be, and Sacramento met those requirements. Many cities did not." Sacramento's progress toward becoming an EV leader is the result of decades of work and knowing how to finesse a state system that tilts toward clean energy. The local power company, the Sacramento Municipal Utility District, started to build out its network of EV chargers in the 1990s, decades before other cities, with funds from General Motors and the federal government. 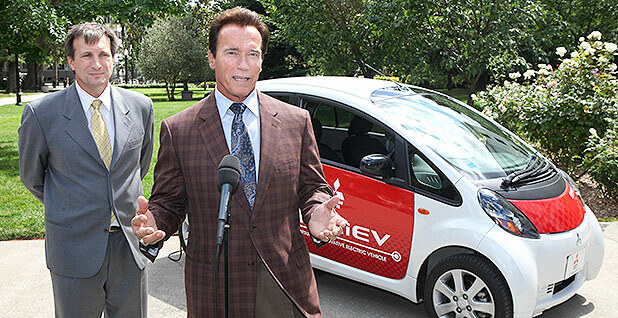 Even now, it will install a $600 home charger for free if a resident buys an electric car. The largest fleet of electric school buses in the country is on its way to three Sacramento-area school districts. The money, a $7.5 million grant, is from proceeds of the state's cap-and-trade law — a system that lowers emissions while sending emitters' funds toward projects that lower emissions. And now, after loving EVs through their ungainly adolescence, Sacramento stands to benefit as EVs start to become a global phenomenon. A rising number of EVs can be seen on Sacramento's streets. More of them are $29,000 Nissan Leafs than $75,000 Tesla Model S's. Those are the newcomers, though; the full story is known to Sacramento government types and true believers. For example, on display at the local California Automobile Museum is a cherry-red EV1, the electric car created in the 1990s by GM. The EV1 is rare on the roads today and is mostly remembered as the protagonist of the documentary "Who Killed the Electric Car?" But Sacramento insiders know that it was built mostly to satisfy a requirement by CARB, the same regulator now administering penance for VW's sins. The rule that created the EV1, which required major automakers to include zero-emissions vehicles (ZEVs) in California fleets, is still in effect today and is still controversial. Just last week, the Trump administration said it would terminate California's ability to set its own auto emissions rules, including the ZEV mandate (Greenwire, Aug. 2). Long before the Leafs and Teslas arrived, the city of Sacramento turned the state's thousands of environmentally minded workers into a mini-market for EVs. The city waived its parking fees of about $200 a month for EV drivers, which is just about the amount of a monthly EV lease payment. And today, though the parking incentive has lessened, an EV culture remains. Employees at the state Environmental Protection Agency building, where CARB is based, have a standing excuse to head to the parking garage: The four-hour limit at the public chargers has expired. There is little argument that the EV windfall will help Sacramento, which occupies a singular niche in the Golden State. It is a seat of political power that is surrounded by farmland, a two-hour drive from the affluence of Silicon Valley but home to some of the state's poorest census tracts. The money will go to build charging stations, buy electric buses and galvanize electric car-sharing programs in a region that has some of the highest ozone pollution in the country, due to the fact that nearly every major freeway in Northern California cuts through it. The Green City program puts Sacramento on the leading edge of a muscular push by the state government to make electric transportation more equitable. All of the state's recent EV investments — including a whopping $738 million recently approved for the state's utilities — are required to put 35 percent toward high-poverty communities with few transportation options. It took hardball negotiations, but CARB managed to get VW to follow the same 35 percent rule, said Bevan, the CARB administrator. VW's analysis showed Sacramento is chock-full of poorer neighborhoods, the very places where EVs are unlikely to appear because models so far have been pricier than a standard gas car. "We don't want EVs to be dismissed as toys for rich guys," Max Baumhefner, an attorney at the Natural Resources Defense Council, said about the state's push to serve disadvantaged neighborhoods. "That's often the perception." Bevan has been a Sacramento resident for decades, and she said she hopes that the VW money will at last nudge the city into an electric future. "Suddenly, you've changed a community," she said. The Green City money for Sacramento comes in three parts. It is money in a hurry: The consent decree mandates that Electrify America finish its first investments by mid-2019, less than a year from now, in the first quarter of its decadelong plan. Charging plazas: Some money will go toward pioneering the EV equivalent of gas stations — neighborhood "charging plazas" or "depots" where EVs can fill the battery in 20 minutes to an hour. More than 10 of these depots will be established in parking lots in and around Sacramento, each of which will have up to eight charging stalls, according to Will Berry, Electrify America's fleet and operations manager in the city. Unlike freeway charging plazas, they are intended for neighborhoods. And they will be more powerful than most of today's existing public charging stations. The power of some of them, at 150 kilowatts of direct current, exceeds the supercharging stations of Tesla, the famous carmaker headquartered in the Bay Area. Meanwhile, Electrify America is installing chargers of 350 kW at nearby highway locations. For the local power company, the Sacramento Municipal Utility District (SMUD), these installations are a leap forward. "We have done onesies, twosies at a time," said Bill Boyce, the supervisor of electric transportation. "Electrify America is tens at a time." SMUD has been in the EV business so long that its crews, while in the field scouting locations for electrical panels to support Electrify America's charging plazas, have found abandoned EV charging panels installed decades ago, then forgotten. However, even VW's infusion won't suffice. Boyce said Sacramento has about 500 chargers, but it will need far more — about 3,800 Level 2 chargers of the kind often installed in homes and 300 DC fast chargers — to have enough. The city set a goal last December to have as many as 74,000 EVs by 2025, which is almost a tenfold increase from today. Each of the new plazas has about the electricity demand of a mini strip mall, Boyce said, and is a valuable new customer for SMUD. Ride-share: Sacramento is a two-hour drive from the headquarters of Uber Technologies Inc. and Lyft Inc., the country's leading app-based ride-hailing companies. Now it will host two electric upstarts that want to challenge the incumbents. One company is Envoy Technologies Inc., a service started a couple of years ago in Los Angeles. It is what it calls a "closed car-sharing platform" that offers vehicles exclusively to a small ridership. Customers in Los Angeles have included a few apartment buildings and a hotel. Residents reserve the vehicles by app and pay by the minute. The customers in Sacramento will be less wealthy and more numerous. Envoy will install the service at 71 Sacramento locations, at least three-quarters at apartments in low-income neighborhoods. A building gets a couple of cars and two dedicated parking spots, each with its own Level 2 charger. Electrify America will build the chargers and supply the cars: Volkswagen e-Golfs, the company's four-door electric model. Simultaneously, Envoy is building a 60-vehicle EV service in low-income communities in Sacramento and in the Bay Area with a $1.5 million grant from the California Energy Commission. The idea in Sacramento, said Envoy spokesman Jack Axelrod, is to learn how residents use the cars and "find a price point that works for these communities." One option is that residents could use the e-Golfs to earn money as Uber or Lyft drivers. The other startup, Gig Car Share, has a fleet of vehicles that can be reserved, picked up and dropped off wherever they wish within a city's limits, all with an app. The service will be familiar to residents of Chicago, New York, Seattle and the District of Columbia. These are some of the cities served by Car2go and ReachNow, two similar services mostly based on gas-powered vehicles. The biggest difference is that in Sacramento, the cars will be electric. In Sacramento, Gig will have 260 Chevrolet Bolts by 2019, all bought by VW as part of the court settlement. "We believe this will be the largest fully electric fleet in car-share in North America," said Jason Haight, Gig's president. In sum, the two car-share programs will have Electrify America buying at least 430 EVs, each of which will be shared and probably more heavily used than a one-owner car. "The number of electric miles traveled is going to increase dramatically," Berry said. Mass transit: Transit agencies across the country have announced plans to buy electric buses this year. 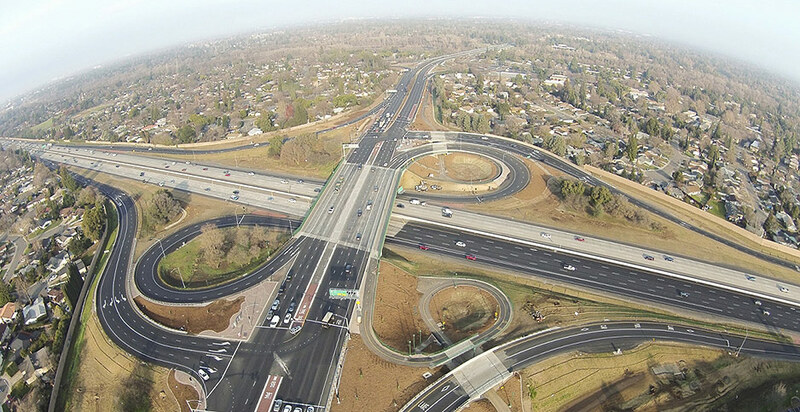 Sacramento is different because VW's investment will also vitalize a major traffic corridor. That bus line connects a major hospital, the University of California, Davis, Medical Center, east of downtown Sacramento, to the main campus of UC Davis, 17 miles west. Today, a handful of diesel buses provide service on the hour. The new fleet — a dozen 40-foot-long electric buses all paid for by VW — will run every 15 minutes at rush hour and add two stops, according to Mary Lynne Vellinga, a spokeswoman for the mayor's office. They'll be refueled at dedicated charging stations in the service yards of two transit agencies. Meanwhile, a trio of smaller electric buses will constitute a "microshuttle" service for the Franklin Boulevard Corridor, a low-income neighborhood with large Latino and Hmong populations at the intersection of two major freeways but with little regular bus service. When it was time to unveil Electrify America's $44 million for Sacramento, the press conference wasn't held downtown or at City Hall, but at Alder Grove, a public housing project located by the overpasses of two major freeways. It was the very sort of place the Green City initiative aimed to help. The headline speakers were two powerful men in Sacramento: Mayor Steinberg and a county supervisor named Phil Serna. "This isn't just about the $44 million we'll receive as a designated 'Green City,' it's also about doing all we can to ensure environmental justice remains at the forefront of our agenda," said Serna. Their résumés are a glimpse into how the power structures of Sacramento and the state are connected to each other and how those continue to reinforce the city and state's long legacy on the environment and clean energy. Steinberg is a veteran legislator who used to be president of the state Senate, where he wrote several bills on low-carbon transportation. Serna's name is a towering one, literally: The state EPA building is named after his father, Joe Serna Jr., a civil rights activist who went on to be Sacramento's first Latino mayor. The EPA building is the tallest government structure in the city, 125 feet taller than the state Capitol dome. Early in 2017, Sacramento had prepared its application to VW, knowing that other cities were in the hunt. It submitted a dense, 14-page document that described a region that had been working harder and longer to nurture EVs than just about anywhere. The application started with an enthusiastic cover letter from Steinberg, the mayor, who as a legislator had written bills that affected CARB's mission. "I assure you I will provide aggressive leadership within the City, County and region to ensure its success," he wrote. Attached to the application were letters of support from the numerous local agencies, including the county of Sacramento, Sacramento Metropolitan Air Quality Management District and Sacramento Regional Transit District. These agencies and a few others in the Sacramento region have been effective at snaring state and federal grants, and they work together on sophisticated plans, including a regional electrification plan that dates to 2013. On the boards of each of the three supporting agencies sat Phil Serna. As a county supervisor, he is automatically a board member of the transit and air quality districts. In July 2017, Sacramento officials learned that Volkswagen had declared their city the winner. One obstacle remained: The proposal had to get approval from CARB. Sitting on the board of CARB was Serna. One of 16 board members and the only one to live locally, he voted in July 2017 in favor of the Green City plan, as did the rest of the board. In short, Serna offered heavy institutional support for his hometown of Sacramento's bid for VW's funds, then voted to approve its bid as a board member of CARB, which is VW's regulator. 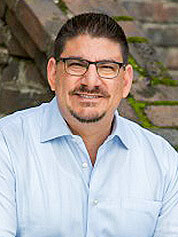 Serna was not required to recuse himself because he had no apparent financial stake in the outcome, according to a CARB spokesman. Serna could not be reached for comment. According to campaign contribution records, Serna hasn't received any donations in the last two years from EV companies or automakers. Whether or not VW's $44 million makes Sacramento into the hub for electric vehicles it has always wanted to be, there's no question that the city and California at large have started to turn the corner toward wide adoption of EVs. Bevan of CARB and Boyce of SMUD have both been deeply involved in the city's EV efforts, and for years they knew the names of pretty much every EV driver in town and even the chargers where they parked. Then, in about 2012, Bevan saw a fellow EV commuter in traffic on her way to work and had a realization that things had changed. "I was seeing a Leaf driving down the road," Bevan said, "and thinking, 'I don't know her.'"